These yummy mixed drops are simply irresistible. They contain fruits, herbs, vitamins and natural nutrients. 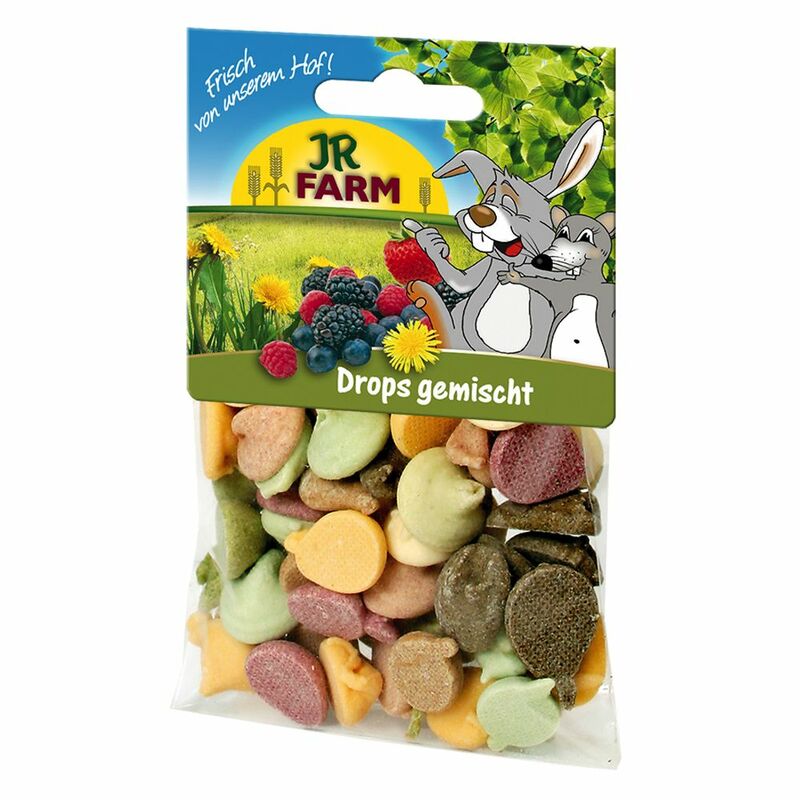 Jr farm mixed drops provide silky, glossy fur, and a strong, healthy bone structure. Great for taming shy animals! Johnson's ear drops can be used to soften wax, soothe irritation and promote healing. They also contain natural pyrethrum to kill ear mites and are suitable to be used for common mite infestations that may cause scratching, head shaking or dark, dry, waxy debris in the ears. Johnson's ear drops should not be used for severe ear infections. You will need to consult a veterinary surgeon immediately if you notice heavy and strong smelling discharge or serious inflammation of the ear.